The glam-punk legends reunite with celebrated songwriter/producer Todd Rundgren. Click here to find out more! 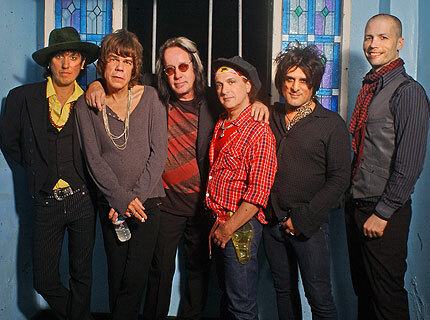 The two original surviving members of glam-punk progenitors the New York Dolls — singer David Johansen and guitarist Sylvain Sylvain — reunited for 2006’s comeback album, One Day It Will Please Us to Remember Even This.But a key element was missing: Eccentric producer Todd Rundgren, who helmed the boards for the Dolls’ 1973 classic self-titled debut.